Sphere of Influence: Caves, Earth, Mountains, and War. Symbols: Axes, Chevrons, Funerary Ashes, Hounds, Owls. Favored Weapon: A pair of axes. Pazamë is a fearsome god who rules over the mountainous places of the world, where he judges the fallen based on their deeds in life. Beneath his ironclad feet lay his domain – the earth and all that lies within it. This makes him both ruler of the highest places in the world and, simultaneously, lord of the Underworld, a duality not lost on his priests. All that exists deep within the earth is his, so miners and others seeking wealth in deep, dark places intrude on the fringes of his demesne. Still, he is not worshipped directly; sacrifices are offered to keep him away. Pazamë is also the god of destructive warfare. His is a rolling ruin that brings death and destruction to all before him. Nothing can withstand the avalanche of his blows, and even Veträ is wise enough to give the dark god a wide berth. Thus it is only fitting that Pazamë is husband to the icy Kore who blankets his slopes with snow and every winter harvests more souls for his dungeons. Pazamë rarely appears to mortals, but when he does, his skin is pale and covered in a layer of dirt. His hair and beard are black and streaked with ashy gray, and his black, soulless eyes pierce to the soul. On his shoulder perches a snow-white owl and from his belt hangs a pair of axes perpetually dripping with blood and gore. Pazamë does not often grant powers to his clergy. In fact, his priests are, themselves, few and dedicated to keeping the Dread-King’s appetites sated so he doesn’t visit himself upon the community. When he does grant powers, it is often to those who uphold the order of law via Honesty, embody Truthfulness, or ensure the Soul-Keeper his due in battle by suffering not an enemy to live – Bloodlust. Others find the dark god’s blessing through a devotion to the souls of the dead, usually by shriving tormented spirits so they can pass on or otherwise putting down undead; treat this as Sense of Duty (The Dead) [-15]. And as with all of the bloody gods, those who religiously observe the many rituals, ceremonies, and sacrifices surrounding Pazamë are sometimes rewarded with power; treat this as one of Disciplines of Faith (Mysticism, Ritual Sacrifice, or Ritualism). Spirits of earth, war, death, and destruction follow Pazamë, but his divine servitors take such aspects to new heights. His angels of death are winged nightmares clad in the heaviest of plate couching lances the length of four men and sitting granite-grey warhorses wrapped in black iron barding. These embodiments of war’s destruction have the War element and the Winged lens, and they often also take Fear or Order. Those servitors who embody Pazamë’s earth aspects take the Earth element, sometimes with the Nature element and almost always have the Natural lens. Pazamë is not directly worshipped and thus does not have freestanding shrines. Instead, his shrines are in pantheons where blood sacrifices are made to pacify the Soul-Keeper and in mines to trade blood for the wealth taken from his domain. His alters are often decorated with carvings of owls and hounds and littered with bones, skulls, blood, and entrails. In temples, his white marble statue looms over an alter held on outstretched owl wings, and at his feet sit his three massive hounds. His eyes are inset circles of jet, and his hounds granite. Advantages: Remove Animal Friend, Channeling, Empathy, Green Thumb, Healer, Licensed Exorcist, Medium, Spirit Badge, and Spirit Weapon from the list of optional advantages and add Channeling (Specialized, Dead Spirits, -50%) , Combat Reflexes , High Pain Threshold , Indomitable , Spirit Empathy (Specialized, Dead Spirits, -50%) , and Striking ST 1-4 [5/level]. Skills: Remove Hidden Lore (Faeries), Naturalist, and Pharmacy (Herbal) from the list of optional primary skills and add Area Knowledge (Skaldafjoll) (E) IQ+1 -14; Climbing (A) DX -11; Prospecting (A) IQ -13; and Survival (Mountains) (A) Per -13. • Remove Research, Teaching, and Veterinary from the list of optional secondary skills and add Naturalist (H) IQ-2 -11 and Savoir-Faire (Military) (E) IQ -13. 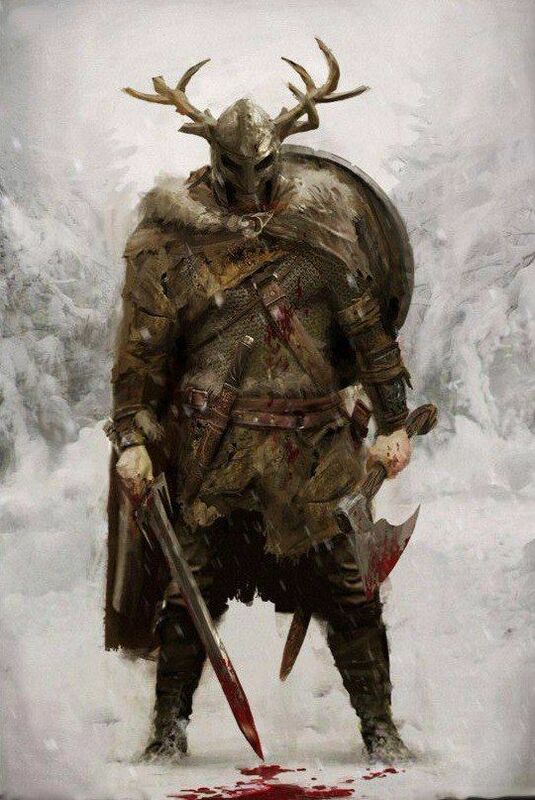 • Remove Shortsword from the melee weapon options and add Two-Handed Axe/Mace (A) DX+2 -13 and Two-Handed Flail (H) DX+1 -12. • Remove Blowpipe, Bolas, Lasso, Net, and Thrown Weapon (Stick) from the ranged weapon options and add Thrown Weapon (Axe/Mace) (E) DX+1 -12. • Remove Cartography, Disguise (Animals), Animal Handling, and Mimicry (Animal Sounds or Bird Calls) from the list of optional background skills and add Forced Entry (E) DX -11; Skating (H) HT-2 -9; and Skiing (H) HT-2 -9. Cleric of Pazamë: Either Power Investiture 2  or Divine Favor 5 . • Choose [-10] points from disadvantages mentioned in Morality, above. • 15 points total in any combination of Power Investiture 3 , Divine Favor 6 or 7 [5 or 15], Learned Prayers, clerical spells, or Breaking Blow* (H) IQ – whose unusual background is waved for clerics of Pazamë. Advantages: Add Channeling (Specialized, Dead Spirits, -50%) , Divine Favor 4, 5, or 6 [10, 15, or 20], Indomitable , Off-Hand Weapon Training (melee skill) [1/melee skill], Spirit Empathy (Specialized, Dead Spirits, -50%) , Striking ST 3-4 [5/level], Sure-Footed (Uneven) , and “or Learned Prayers” to the list of optional advantages. Skills: Remove Armoury, Connoisseur, Leadership, Strategy, and Tactics from the list of mandatory secondary skills and add Climbing (A) DX -13; Forced Entry (E) DX -13; Intimidation (A) Will -10; and Survival (Mountains) (A) Per -10. • Remove Animal Handling, Intimidation, and Seamanship from the optional background skills and add Area Knowledge (Skaldafjoll) (E) IQ -10; Breaking Blow* (H) IQ-2 -8; Immovable Stance* (H) DX-2 -11; Power Blow* (H) Will-2 -8; Prospecting (A) IQ-1 -9; Skating (H) HT-2 -9; and Skiing (H) HT-2 -10. * Requires Divine Favor instead of the usual prerequisites for holy warriors of Pazamë. PI 1 Armor, Awaken, Bravery, Cleansing, Coolness, Detect Magic, Detect Poison, Find Direction, Iron Arm, Lend Energy, Lend Vitality, Might, Predict Earth Movement, Purify Earth, Seek Pass, Sense Foes, Sense Life, Share Vitality, Shield, Tell Position, Thunderclap, Vigor, Warmth, Watchdog. PI 2 Command, Earth to Stone, Final Rest, Grace, Great Voice, Haste, Identify Plant, Know Location, Magic Resistance, Minor Healing, Mystic Mist, Purify Water, Resist Cold, Resist Fire, Resist Lightning, Resist Pressure, Sense Spirit, Stone to Earth, Strengthen Will. PI 3 Aura, Body-Reading, Clean, Create Water, Dry Spring, Fog, Light Tread, Neutralize Poison, Oath, Pathfinder, Peaceful Sleep, Relieve Sickness, Remember Path, Remove Contagion, Resist Acid, Resist Disease, Resist Pain, Resist Poison, Seek Water, Seeker, Shape Earth, Snow Shoes, Soilproof, Summon Earth Elemental, Summon Spirit, Terror, Truthsayer, Turn Spirit, Turn Zombie. PI 4 Affect Spirits, Astral Block, Astral Vision, Banish, Climbing, Command Spirit, Control Earth Elemental, Control Earth, Create Food, Create Spring, Cure Disease, Dispel Magic, Dispel Possession, Divination, False Tracks, Gift of Letters, Gift of Tongues, Instant Neutralize Poison, Major Healing, Plant Growth, Repel Spirits, Restoration, See Secrets, Stop Paralysis, Suspend Curse, Vigil, Wisdom. PI 5 Alter Terrain, Bless, Blight, Create Earth Elemental, Curse, Earthquake, Entombment, Entrap Spirit, Flesh to Stone, Great Haste, Great Healing, Monk’s Banquet, Move Terrain, Pentagram, Plant Speech, Remove Curse, Stone Missile, Stone to Flesh, Suspend Mana, Suspended Animation. PI 6 Bind Spirit, Concussion, Drain Mana, Geyser, Lesser Geas, Planar Summons (Divine Servitor), Resurrection, Sanctuary, Volcano, Walk through Earth. Pazamë particularly favors prayers concerning war, personal combat, and aggression. He also performs miracles concerning the earth, but not that which grows from the earth. His holy warriors are said to be as immovable as the mountains and as unstoppable as an avalanche. Abilities Alternate Form (Body of Earth or Body of Stone); Binding, with Engulfing and Environmental (-20%); Clinging, with Specific, Stone (-40%); Combat Reflexes; Control (Earth or Stone), often with Natural Phenomena; Create (Earth); Damage Resistance, with Flexible (-20%); Damage Resistance; Detect, for earth, specific minerals, etc. ; Enhanced Defenses; Extra Attack, with Multi-Strike; High Pain Threshold; Injury Tolerance (Damage Reduction); Innate Attacks, with Environmental (-20%) that emulate boulders, earthquakes, etc. ; Lifting ST; Perfect Balance; Rapid or Very Rapid Healing; Recovery; Regeneration; Striker, often with Limb; Striking ST; Super Climbing; Super Throwing; Terrain Adaptation (Mud, Sand, or Mountains); and Terror.